Life and culture of Kalymnos from antiquity until today has always been connected to the sponge fishing and that’s why Kalymnos was named «The sponge-divers’ island». The sponge has not just been a wealth-producing source that gave the island vigour, it also made Kalymnians travel in the Mediterranean with caiques, get to know nations and cultures and return to their island full of experience and knowledge. 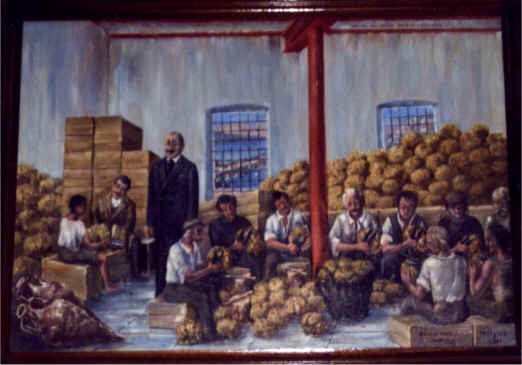 The radical turning point of the Kalymnian society and economy in relation to the sea is characteristic of the19th century. 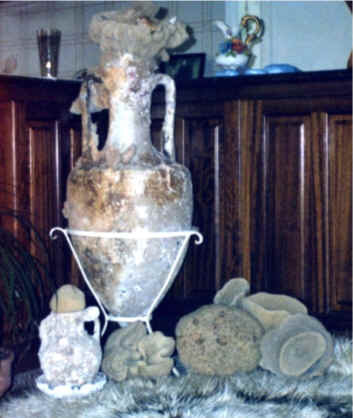 Kalymnians fished sponges in the waters of the Aegean Sea, at the coasts of Asia Minor and Syria. 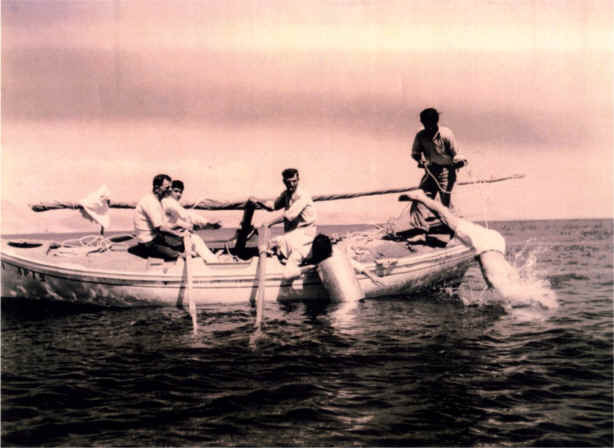 They used the traditional ways of sponge fishing (skantali, harpoon). The first sponge-divers didn’t have a uniform or any technician support. In 1840 the first sponge-divers went to Egypt while in the same year the first sponge fishing firms were organised in Venice and London. 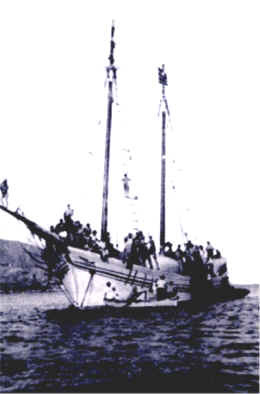 that transported the sponge-divers’ boats to Eastern Mediterranean. fleet of the south Sporades.